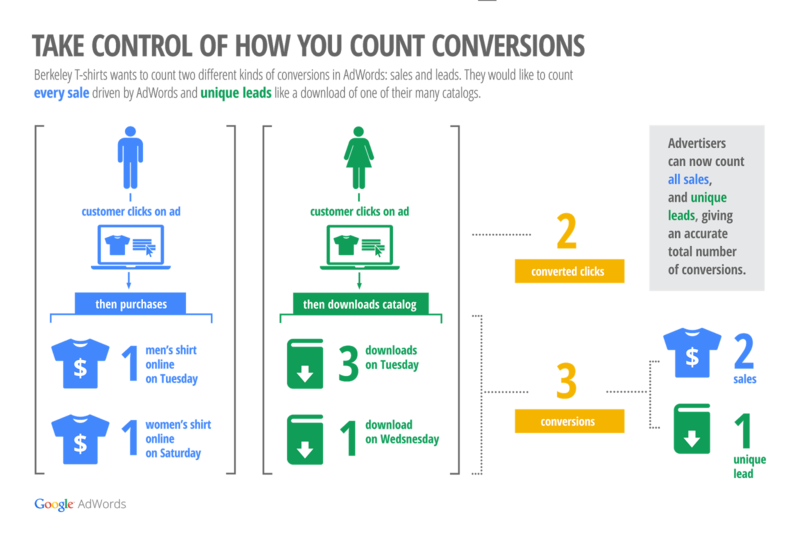 Google announced a new conversion counting method named "flexible conversion counting." This new method replaces the old way of counting conversions. Flexible Conversion counting replaces the conversions (one-per-click) and conversions (many-per-click) columns with Converted clicks and Conversion columns. 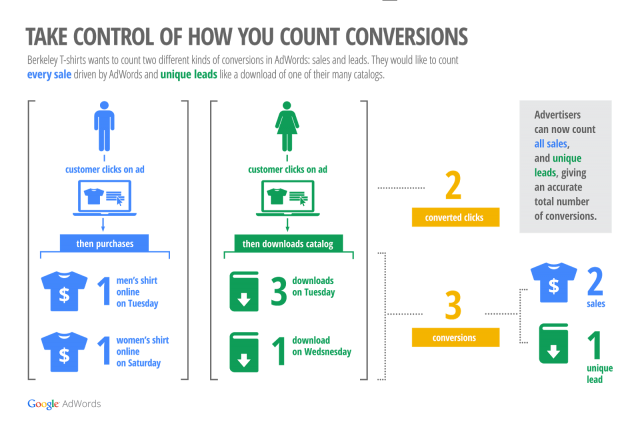 This should help AdWords advertisers understand the relative value of each click that results in a conversion. To set this up, go to your Conversion Tracking and click on the "Settings" page where you can choose how you'd like to count your conversions within your chosen conversion window. Once you've made a choice and your AdWords account starts recording conversions, you'll see these conversions in your campaign data. 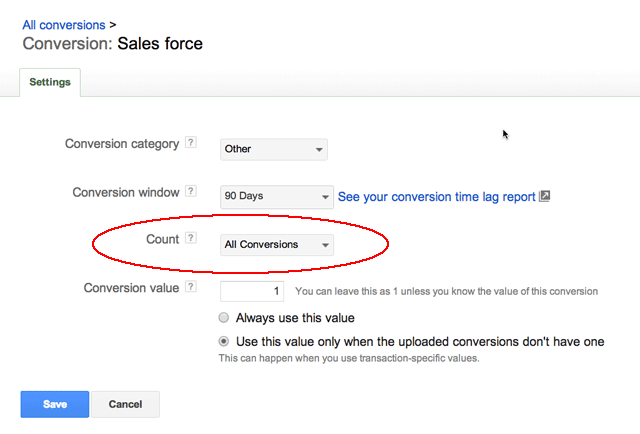 Keep in mind: If you don't make a choice, AdWords will automatically use the "All conversions" setting. For more details on this, see the Google help center.